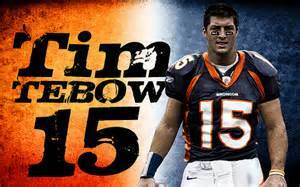 The Fellowship of Christian Athletes is welcoming Tim Tebow, former football player and current outfielder for the New York Mets, to Perryton, Texas, Jan. 14, 2017 at Rodeo Nights. The Tebow event is named Shaken after Tebow’s book. The book discusses facing adversity and trusting in Christ to get through it, according to Pool. There will be several events to choose from. The afternoon event, 1 p.m. to 3 p.m., and the evening youth event, 6 p.m. to 10 p.m., are $25 per ticket during which Tebow will speak and the Zach Williams band will perform. A silent auction of autographed items will be held from 1 p.m. to 4 p.m.
Jeremy Campbell, a Paralympic athlete, and Caleb Campbell, a former linebacker for the Detroit Lions, will be Tebow’s warm up speakers. Tebow is a former Heisman Trophy winner at the University of Florida and played in the NFL with the Denver Broncos, New York Jets and New England Patriots. He is currently trying his hand at professional baseball. This event aims to encourage the community during current hard times. Tickets are available online attimtebowperryton.eventbrite.com.